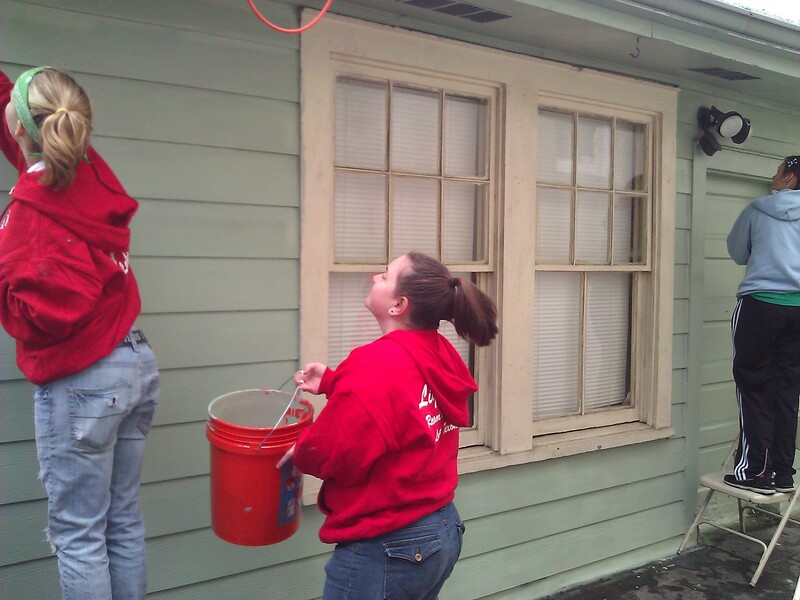 Vieux Carre has partnered with Kaleo Ministries bringing groups of people to New Orleans during Spring Break and Summers since before Katrina. They have been a great partner who has established strong ties with local ministries who are in great need of volunteer help. 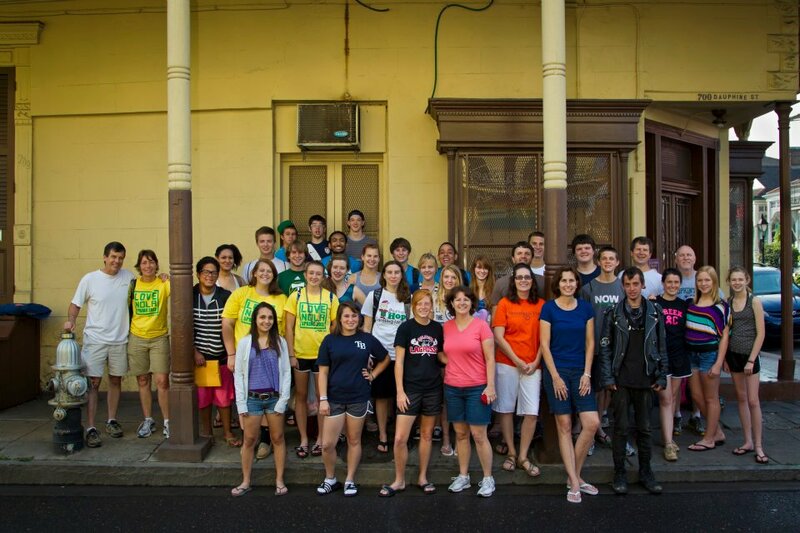 If you are considering bringing a group of people to New Orleans we strongly encourage you to check out Kaleo mission trips and short term mission thinking. When putting together a trip that will impact not only you and the students you bring Kaleo has the bigger picture of bringing mission life to be part of who students are instead of what they do. Click on the logo below or go to www.kaleomissions.org to find out more information about Kaleo and how you can start planning your mission trip to New Orleans. 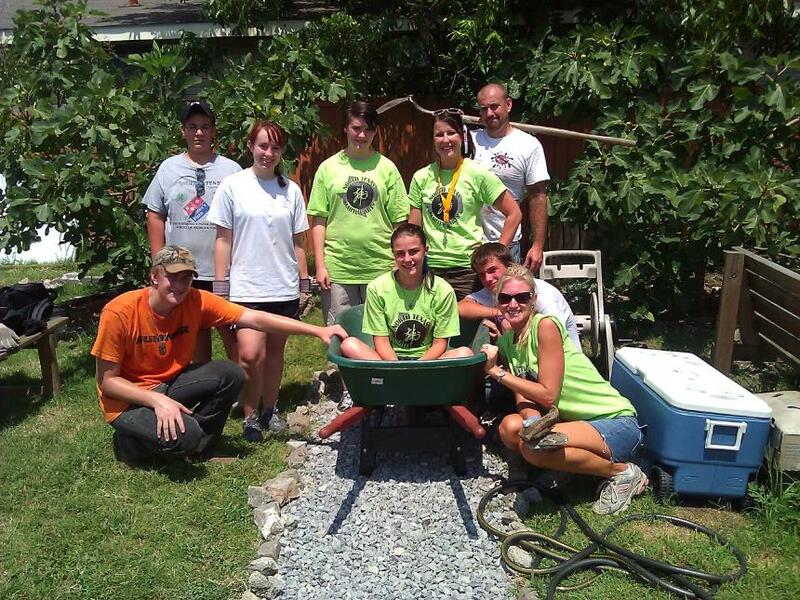 A Kaleo team from Faith Baptist church in Gordonville , Tx working at the Guerrilla Community Garden in Lower Ninth Ward along with Brianna there hard working intern. 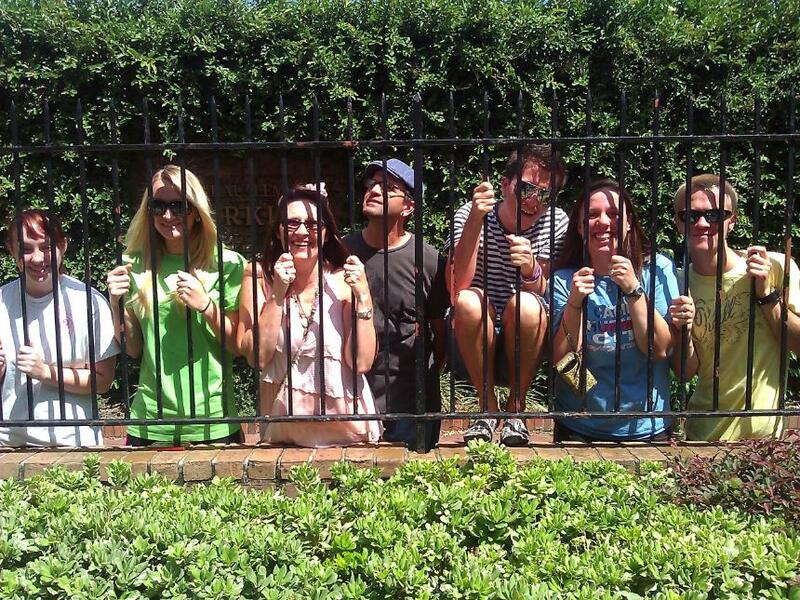 Meet the Kaleo Summer Staff for Summer 2012. From left to right. 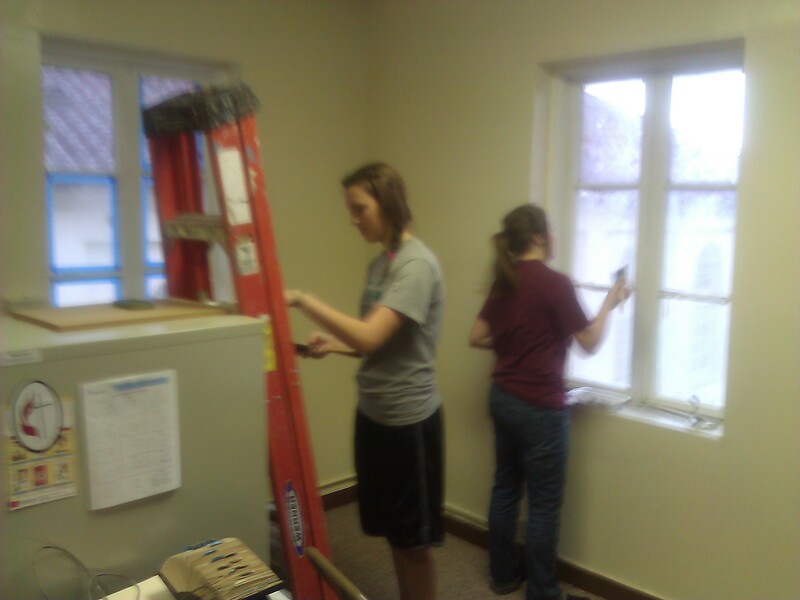 Brianna Glenn, Aylssa Warpool, Sonja, Tom, James Lang, Kayla Compton, and Jacob Newell. 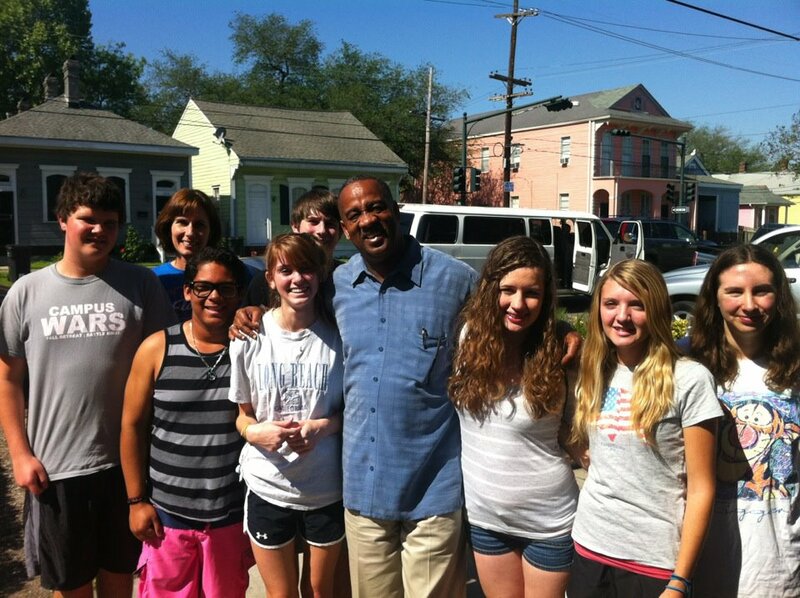 They live with us at the Vieux while we have our summer mission teams in. What a great group to work with. 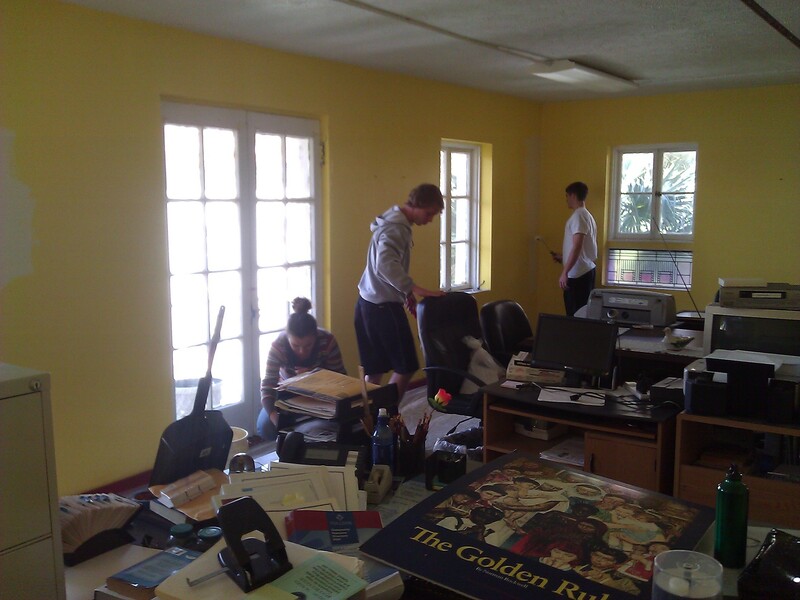 One of our Spring break 2012 teams was a Kaleo team from Vista Community church in Orlando Fl. 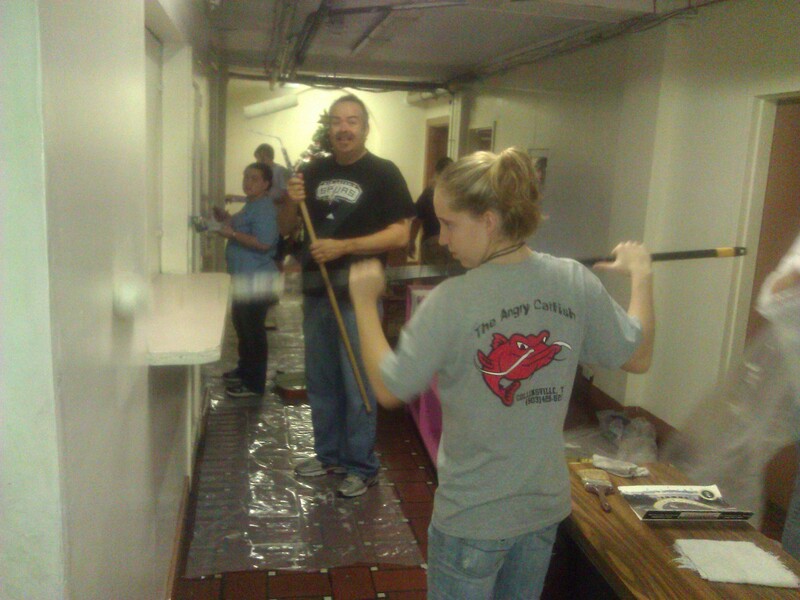 They did some great work around the city and were a great group of people. 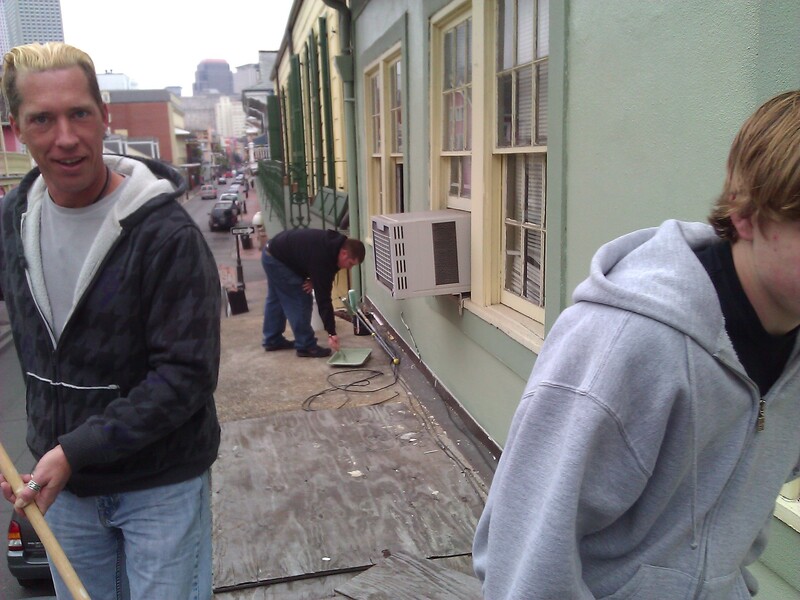 They held bible clubs, worked at rehabilitation ministries, carried lunches out to the homeless and helped paint and work on the Vieux. 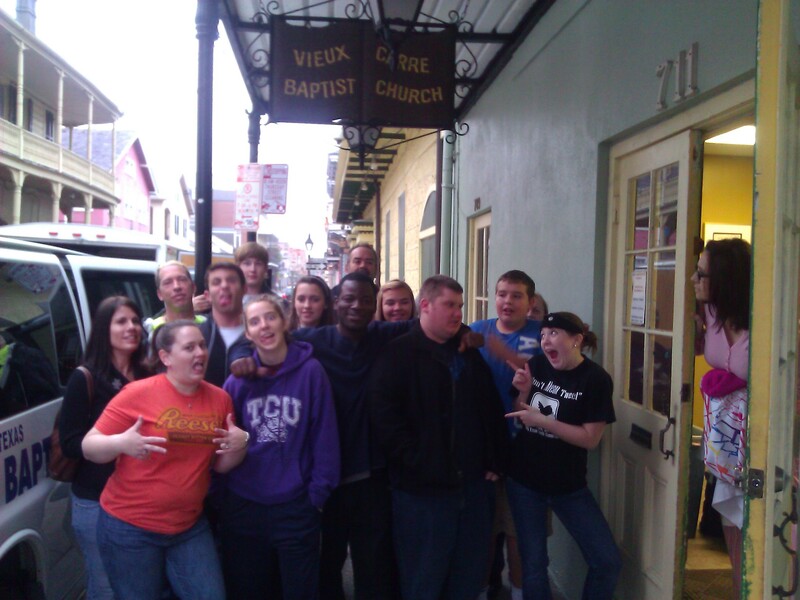 Mardi Gras 2012 was great we had teams from all over the country staying here and ministering in the French Quarter. They all have one thing in common they share Gods love in a way that attracts peope to Christ and the church. This team did facepainting for folks and shared Gods love for them at the same time. FBC Whitesboro came to spend Christmas with us. They brought a trailer load of clothing and one hundred cases of bottled water. 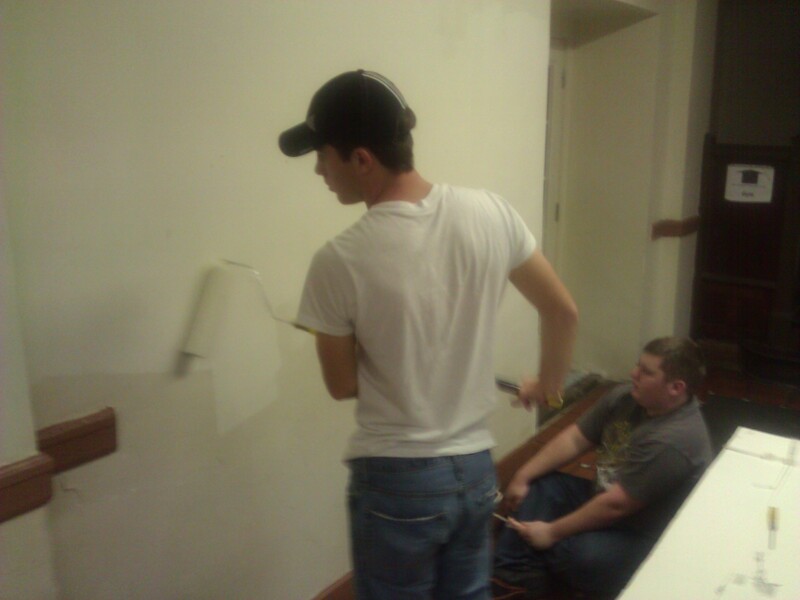 While here they helped paint at Rampart Community Center that provides a greatly needed childrens program. 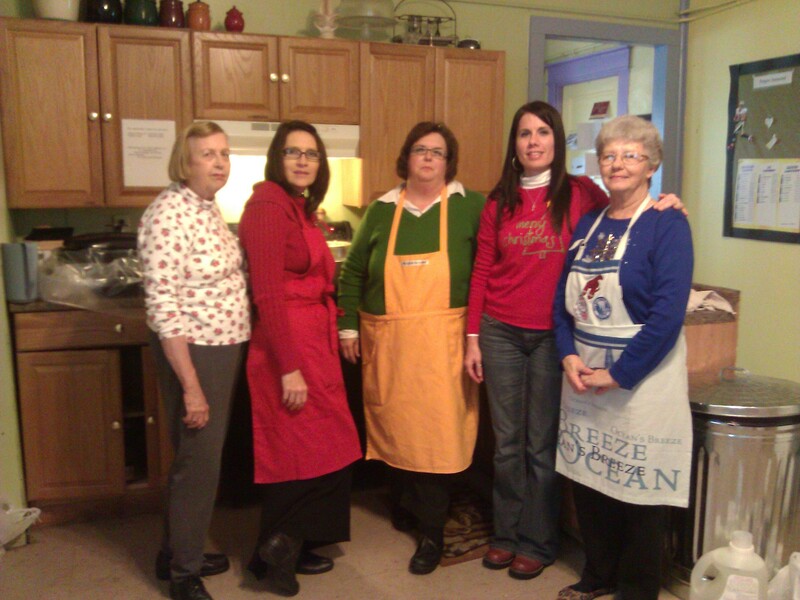 They helped us with our shower Friday and also cooked and served Chrsitmas dinner to 75 folks in the Quarter. 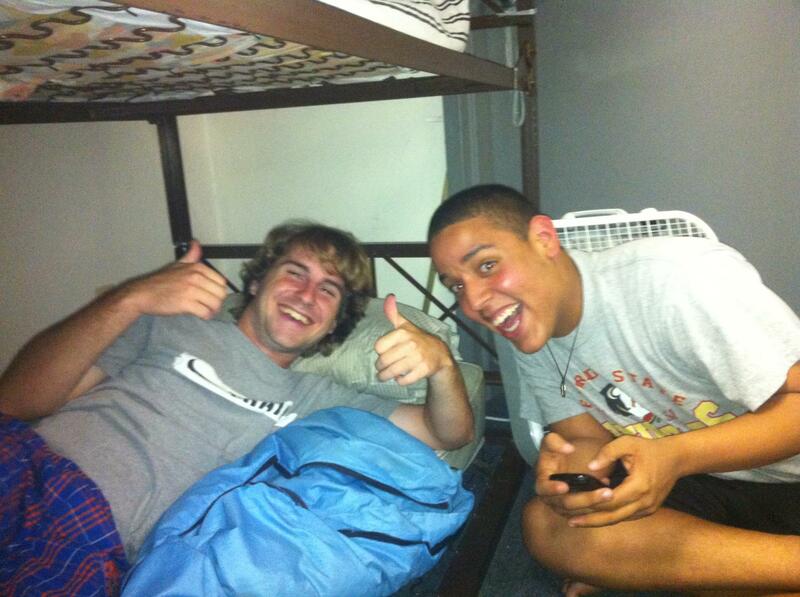 They were a great blessing and encouragement to us. Anchor Ministry School team out of Nashille,Tn. 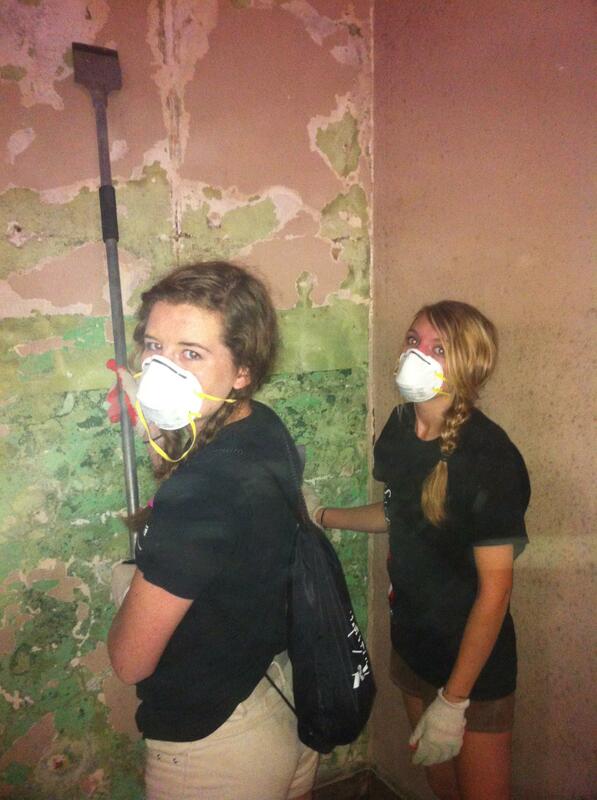 They helped rebuild a house used in a drug infested neighborhood to reach out to drug dealers with the gospel. 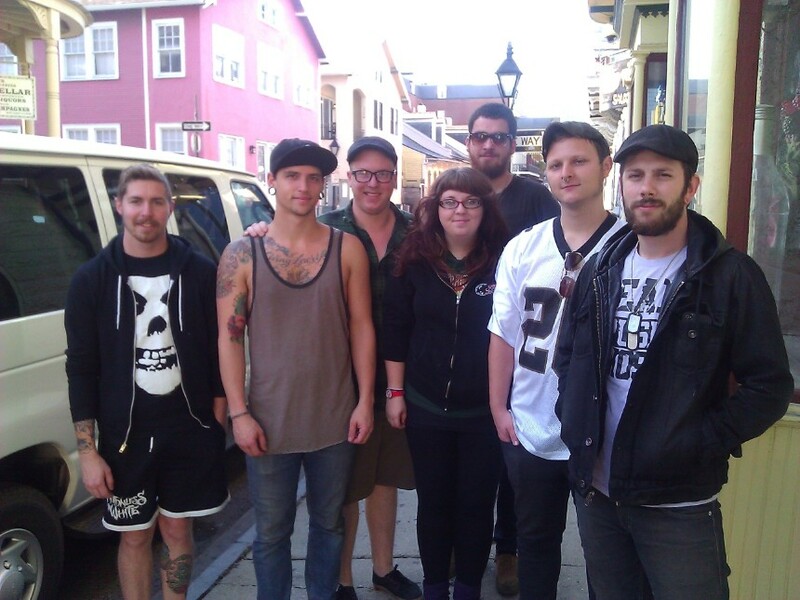 They also prayer walked the French Quarter and shared with people on the street. We hope to host the Anchor again as we enjoyed their fellwoship.